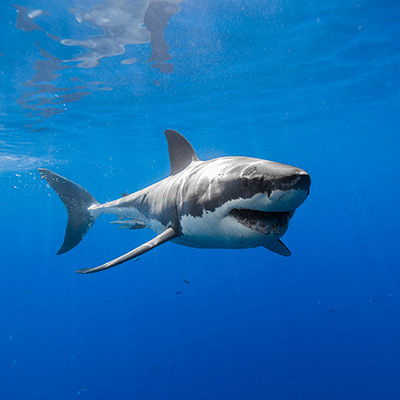 Cal Ripfin, a male great white shark (Carcharodon carcharias) makes a right turn. 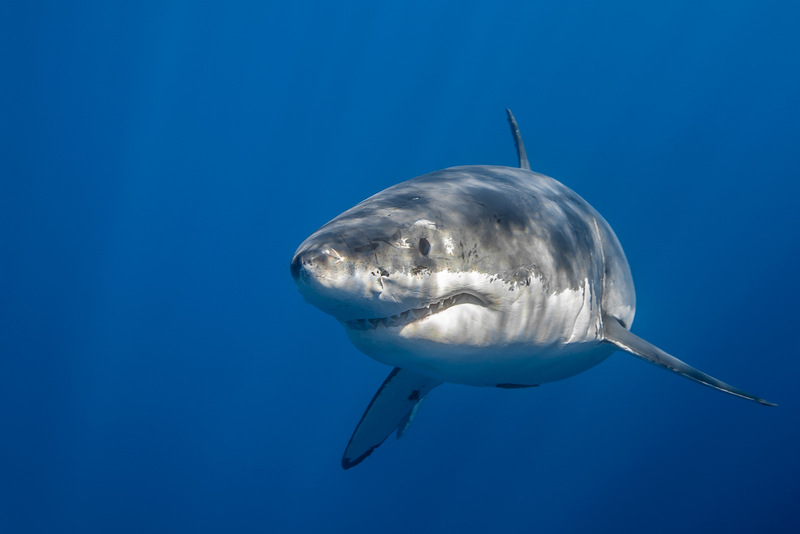 A misconception about white sharks is that when they point their pectoral fins downward it is done so as a threat display. 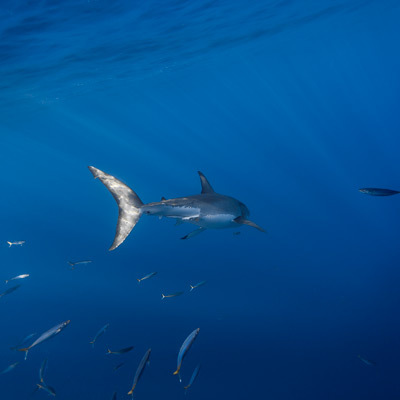 The sharks use their pectoral fins to maneuver, so the position of them is often simply indicative of them making a turn.